Hey loves! I have a unique giveaway for you all today! Are you into scrapbooking? Are you like me and have tons of pictures that you've been meaning to put together into a fun scrapbook, but just haven't had the time or the materials to do so??! When My Memories contacted me to sponsor a giveaway on my blog, I jumped to the occasion because I desperately need some guidance in the scrapbook department! 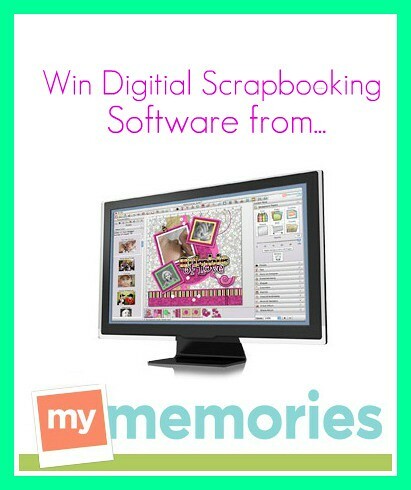 My Memories is offering one lucky reader of mine to win this Digital Scrapbooking Software! What's it all about? "MyMemories Suite will help you create your beautiful pages from scratch or build an entire album using one of the many professionally-designed scrapbook templates provided within the scrapbook software. A large collection of papers and embellishments are also included and available at your fingertips to help you make each page uniquely your own." The My Memories software has over 1,500 papers, over 1,000 page elements, and over 30 album templates!! *This giveaway is open to worldwide entrants! 1.) Like My Memories Suite on Facebook! *Don't forget to leave your e-mail address, so we can contact you if you win! 3.) If you have a twitter account, follow My Memories Suite! Hi I am Rafia from Qatar,Thanks for the giveaway.Followed all the requirements except Pininterest & Currently obbsessed,coz don't have accounts. Liked My Memories Suite on Facebook! Oh I love scrapbooking but I haven't made one in so long! I would love to, but like you said it's hard to have the supplies and the time to do it sometimes. This software seems great though! and finallyyy I stalk you on Currently Obsessed!